I read this directly after the Nebula-nominated first novel of Tina Connolly, Ironskin, since that novel obviously was based on Jane Eyre. 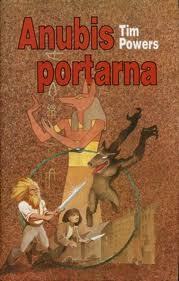 I must say that the old version in many ways was the better one, even if it lacked fantasy elements. 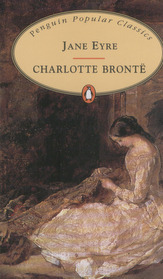 The story was sufficiently thrilling, the characters interesting and the descriptions of nature and houses intense. The gothic parts, with strange buildings and a hidden lunatic, gave the story a dark nature. Margaret Atwood: In Other Worlds. Subtitled: SF and the Human Imagination. Atwood starts out with an attempt to define sf, and to me her fairly diffuse definition is a variant of “if it is good it is not sf”. Stories describing impossible events, descending from H G Wells and exemplified with Martians in metal canisters, are sf, whereas those descending from Jules Verne and describe events which can happen but has not necessarily happened at the time of writing, e g submarines, are not sf but instead speculative fiction. Thus, her own novels are not sf but speculative fiction. To me, it seems more logical to use the term “speculative” for the stories without scientific accuracy and “science” for the correct ones. The book also contains interesting chapters about superheroes and about utopias and dystopias, papers reviewing some well-known sf (meaning science fiction or speculative fiction) novels, a couple of short stories which are really science fiction but not very entertaining, and finally a copy of her very entertaining letter to a school district that banned The Handmaid’s Tale and an interesting paper about the covers of Weird Tales of the 1930’s by Margaret Brundage, where she outlines the genealogy of the brass bra. 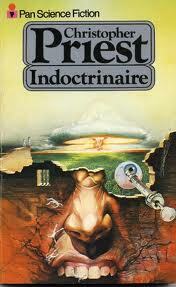 This, Christopher Priest’s first novel, was published in 1970, and the story is set in 1989 and 2189 – it is a time-travel story. Much of the story takes place in a future prison or camp, where the main protagonist tries to understand what is happening. The mood is Kafkaesque or Ballardian, and the novel is interesting and rewarding to read. Too much of the plot is given away in the back-cover blurb and maybe even in the cover art. Reading sf about a future which is actually our past is reading alternate history. Neither in the book’s 1989 nor in its 2189 are there any computers. My conclusion is just that it is absolutely correct to include alternate histories among sf. Translated by Sven Christer Swahn, which I thought would mean that the translation was OK. However, I had problems with the humoristic style. The very complicated plot was difficult to follow since people exchanged personalities too often. Still, a few of the characters stuck in my mind, like the girl Jacky who for the most part of the book was disguised as a boy. The plot involved instantaneous travels in time and space, so there were visits to Greece and Egypt, and London in the beginning of the 19th and the 17th centuries. I would not characterise it as steampunk since the gadgets were rather typical of the time. There were a lot of magic, firmly putting the story into the fantasy category. 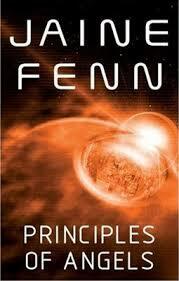 Jaine Fenn: Principles of Angels. This was a pleasant new acquaintance, a new British author of “weird new space opera”. Most of the story takes place in an artificial flying city, constructed by aliens, with a top side where people live and work and an underside for “angels” and criminals. Likeable characters and some very nasty criminals, and an interesting plot made this an entertaining experience. This academic one-day symposium was organised by Britt-Inger Johansson, Research Director of ”SALT”, Forum for Advanced Studies in Arts, Languages and Theology at Uppsala Universitet. The symposium took place in the modern, elegant and functional building Blåsenhus and participants were served coffee and lunch. Some thirty people, including four to me known fans, listened to eleven communications in an extremely well-organised and chaired (by Maud Eriksen) event. Abstracts were handed out and were (and are) available on the web-site for the symposium. My only complaints are that some of the papers hardly could be said to deal with the subject matter of the symposium, and possibly in some cases too much time was used to relate the plots instead of analysis. Phillip Wegner: Detonating New Shockwaves of Possibility: Alternate Histories and the Geopolitical Aesthetics of Ken MacLeod and Iain M. Banks. The plenary lecture was given by Professor Phillip Wegner from Florida, who was visiting Uppsala. In addition to what is written in the abstract, Wegner talked about variants of alternate history: 1. The nexus story, where the focus is on a crucial point in history (exemplified by Murray Leinster’s “Sideways in Time”). 2. True alternate history – e g “what if the confederacy won”. 3. Parallel world, contemporary with our world. There are of course no clear differences between these, even Leinster’s story can be read as a parallel world story. The discussion of MacLeod’s and Bank’s works is covered in the abstract. In a short history of sf he considered early sf, written during the first two decades of the 20th century, to be modernist literature. 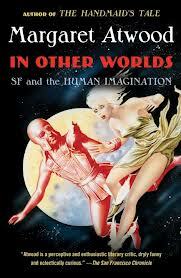 With the formation of the pulps it became escapist literature, which ended with the New Wave in the 60’s. He took Bester’s The Stars My Destination as example. The genre has then returned to being an escapist literature, and this is due to Star Wars and economic forces. Jerry Määttä: Monuments to Our Ruined Age: The Rhetoric of Ruins in Post-Apocalyptic Narratives. In this well-illustrated presentation Jerry Määttä divided the remains of an apocalypse into 1. Monuments and famous buildings, like the Eiffel tower or the statue of Liberty, 2. Ruined domestic houses, e g in McCarthy’s The Road, and 3. Ruined infrastructure, i e roads, bridges etc. Post-apocalyptic ruins in sf are often used in a criticism of civilisation, whereas in fantasy they are used to give a background. Tuomas Kuusniemi: The Time of Tale: Time as Fractal Metaphor in Frank Herbert’s Dune. The fractal metaphor might be used to describe the different scales of time which are used not only in Herbert’s Dune but in many other literary texts. This should then involve similarities in the plot on various time-scales, but this was not clearly shown in the presentation. Markku Soikkeli: Time-Travel-Stories and Christian Chronology. This interesting presentation started with the observation that all stories are actually about travel through time. The omnipresent narrator is similar to a God. Stanislaw Lem used maximal time-loops leading to a fusion of religion and science. Soikkeli gave a reading-list: Karen Hellekson: The Alternate History; Andy Duncan: “Alternate History” (in Cambridge Companion); Michel Foucault: Of Other Spaces; Elana Gomel: Postmodern Science Fiction and Temporal Imagination; Stanislaw Lem: The Time-Travel Story and Related Matters of SF Structuring (in SF Studies). By a description of the characters in Neuromancer, Ogden discussed the similarities between dependence on drugs and on being jacked into a virtual world. The names are part of the cyberpunk setting. Ingeborg Löfgren: Cavell and Asimov – The Real and the Imagined Human in Philosophy and Literature. To what extent can artificial humans or robots be used to tell something about real humans? The problem was demonstrated by showing a music video where a robot construct with little more than lips is singing and being very feminine. The story by Asimov, “The Bicentennial Man”, is told from the robots perspective when “he” is mistreated by some “real” humans. We cannot be sceptical to his having a mind. Cavell of the title is the philosopher Stanley Cavell who has discussed these questions in his book The Claim of Reason. Leila Soikkonen: Confrontations between masculine and feminine in C.L. Moore’s speculative fiction. Soikkonen is working on her Ph D thesis on C. L. Moore, and it was very interesting to listen to this gender-scientific analysis of her work. Katja Kontturi: “I can’t seem to change history! I can only help it happen!”: Problems of magical time travel in Don Rosa’s “Of Ducks and Dimes and Destinies”. This analysis of the time-travel theme in comics about Magica DeSpell and Scrooge McDuck was entertaining and served as a perfect conclusion to the symposium. There were three more papers, which I did not consider to be related to the theme of the symposium.